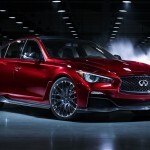 like Infiniti, Acura also took the opportunity it has at the Detroit Auto Show to show off its near-production performance luxury sedan, the 2015 Acura TLX Prototype. with a year preceding the make and model name, you know you will be seeing this ride on the road real soon, and that ‘soon’ would be sometime in mid-year. build around Acura’s next-generation Advanced Compatibility Engineering body structure, the TLX Prototype sports a combination of sweeping sporty lines, low and wide stance, shortened overhangs, and sculpted fender arches, resulting in an uber sleek form that beckons to be noticed. 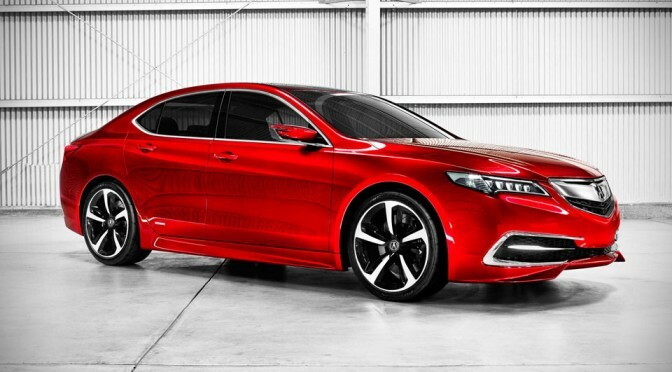 if the lines does not catch your eyes, i am sure the Acura Athletic Red Pearl paint job will. 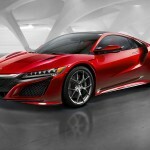 under the hood, you get a choice of a 2.4-liter inline-four unit or a 3.5-liter V6 unit, both featuring direct injection and i-VTEC technology, while the V6 gets an extra fuel-saving Cylinder Management cylinder deactivation technology. transmission comes in the form of 8-speed dual clutch gearbox for the 2.4-liter, while the V6 gets a 9-speed automatic gearbox. 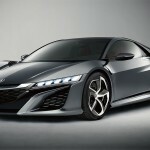 both engine options will be offered as two-wheel models, as well as Acura’s SH-AWD (Super-Handling All Wheel Drive). whichever drive type you choose, it will come standard with Acura Precision All-Wheel Steer (P-AWS) with independent left and right rear wheel toe control. other key features include Jewel Eye LED headlights, custom-designed 5-spoke 20-inch alloy wheels shod in 265/35ZR20 low-profile rubbers, tailor-made side mirrors with LED turn indicators, four driving modes to suit different driving preferences, improved noise reduction, and a suite of acronyms-laden advanced safety features, including Collision Mitigation Braking System (CMBS), Forward Collision Warning (FCW), Lane Departure Warning (LDW) and more. have a few more look in the image gallery below.